If you are looking for a fast-paced business career with a global exposure in education and networking, then Shanghai is the place to be. Shanghai is one of the largest cities in China in terms of both population and size. It is also a global financial hub and has the country's largest port and has developed the business studies programs to turn out qualified business professionals. Find and compare programs below and request information to get into contact with university admissions. For years, Shanghai has been a favorite city for conducting business in Asia because of its magnificent location at the mouth of the river Yangtze. It is globally known as the chief administrative, shipping and trading city of China. Owing to its importance in the world, Shanghai has several professional development opportunities for aspiring professionals and ambitious graduates coming from all corners of the world. Several premier universities here offer flagship programs in business and commerce which increase chances of sustainable careers for professionals. Candidates can choose to major in finance, accounting, management and planning. Shanghai ranks twentieth in global ranking of financial centers around the world because of its increasing importance as a business hub on the map. The Shanghai Stock Exchange ranks third in the world in terms of trading volume thus emphasizing its place in financial trading and business transactions. One of the most flourishing economic sectors in the city is its financial industry. Shanghai harbors several major banking, non-banking, investment, securities and multinational corporations which hire top-notch business graduates with skills in business management and financial planning. 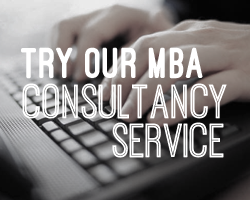 Management consultancy is another coveted profession with high demands here. Industrial infrastructure is another very important feature of this city with abundant opportunities in manufacturing and engineering. Professionals with technical expertise and functional knowledge will find great career development opportunities in Shanghai. The courses are usually taught in traditional classroom settings by industry experts and experienced instructors. International intake of the universities is quite high owing to the popularity of the programs worldwide. In order to increase the global exposure, a lot of students are given opportunities like student exchange programs and corporate internships. Such exposures help increase the student’s knowledge of business and its surroundings which are very essential in any business, since globalization is the trend of the season. Many universities offer online courses in business for those who find it difficult to commute the distance required to get executive education. These online courses have the same lectures in the form of video tutorials and webinars with assignments and periodic evaluations. They give candidates flexibility to rewind course materials and attend courses at their own convenient location and time.